Eco Friendly Green Candles by a Fragrance Addict! It’s your lucky day! 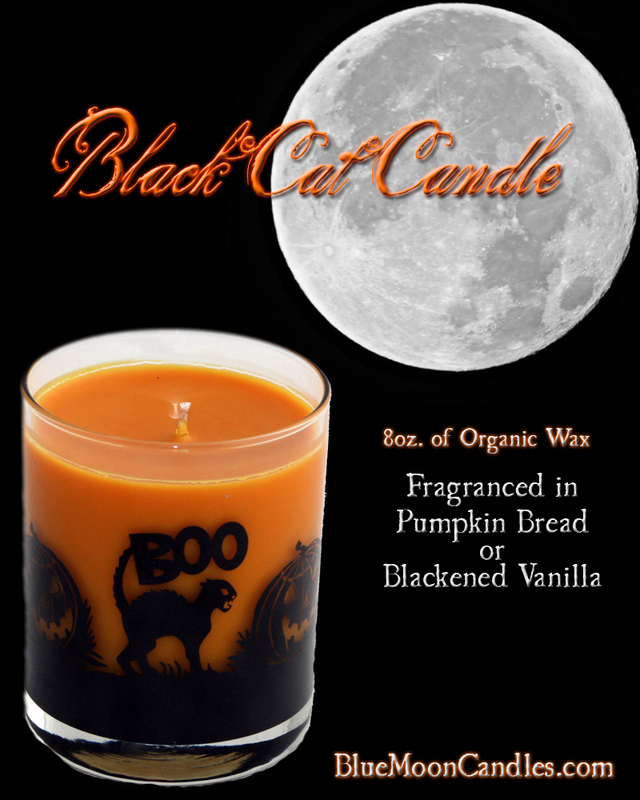 Black Cat Container Candle Special! Who says Friday the 13th is unlucky? You must have thrown salt over your shoulder or rubbed that lucky rabbits foot because today is your Lucky Day! Friday the 13th Special Sale! Each 8oz. Container Candle $7.50~Sale ends Sunday August 15th at Midnight Pacific time. We will do Flat rate and combined shipping on this item-email us for details. Our delectable Pumpkin Bread~fresh baked and right out of the oven. Makes your mouth water while it fills your home with the scent of fresh baked Pumpkin Bread. Catch the smell of pumpkin pie spice with just the right amount of baked crust. A must have fragrance for fall! or Blackened Vanilla~The elegant simplicity and comfort of Vanilla. The perfectly intoxicating fragrance of rich, bourbony Vanilla with an incredible purity…no baked or butter notes, not a musky or perfumey vanilla. Essence of Vanilla in its most elegant simplicity..But there is nothing ordinary about the intensity and strength of this fragrance. Blue Moon Candles on Facebook! Tweet with us-BlueMoonCandles on Twitter. LauraVelle on The beauty of Kelp and how it is used in Cosmetics. Indie Business Network — INDIE Business RoundUp: July 1, 2011 on If you don’t have the talent you want, use the talent you have.